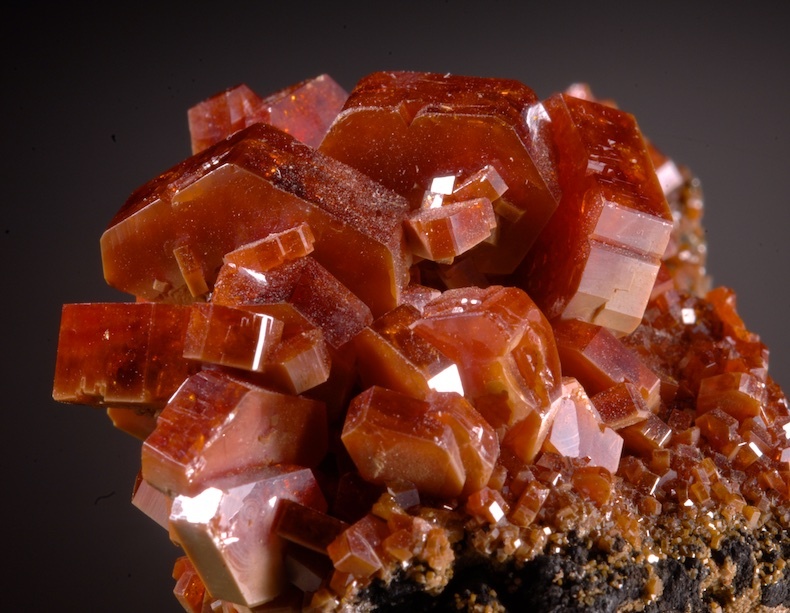 A super bright red Vanadinite from Mibladen. This remarkable locale for almost 40 years has produced Vanadinite, all dug laboriously in tiny hand excavated crawlways. The best of these are with this electric red color and habit. 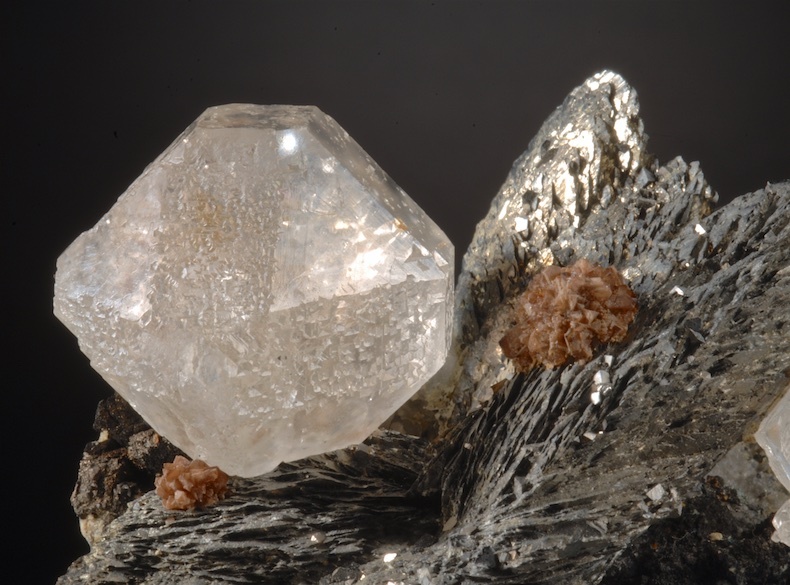 The luster and condition of this piece are very fine, far better than average, with crystals to 1.4 CM across, on a contrasting matrix. Better in person, a very good value for this quality. 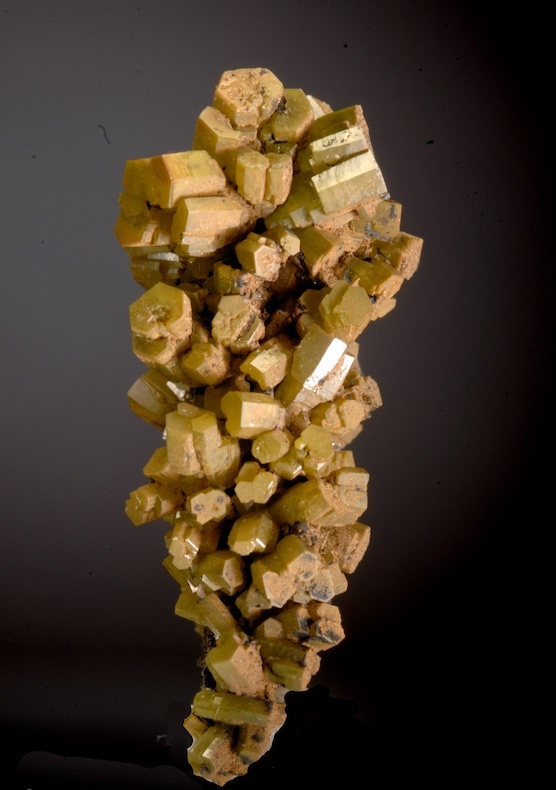 Mined in 2006 and with excellent display impact. 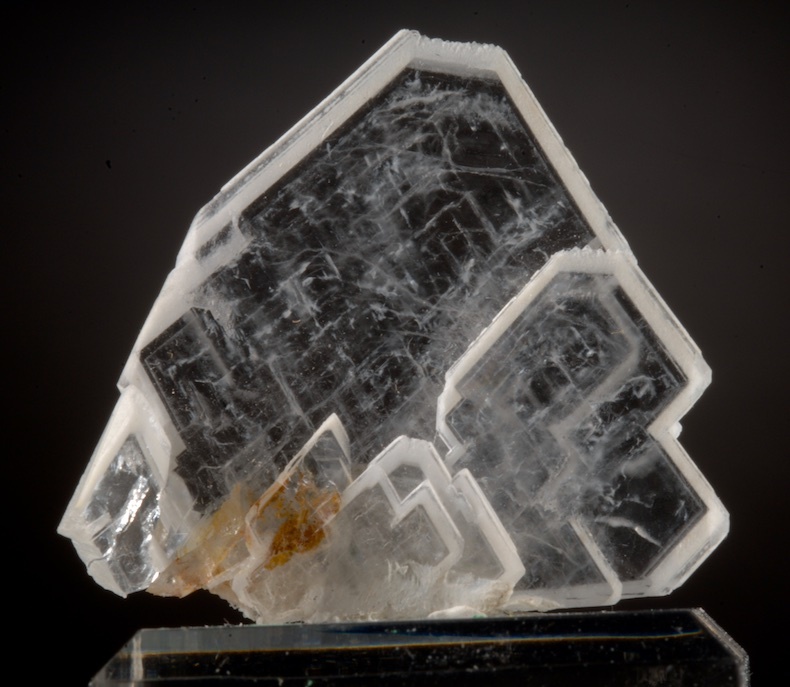 Transparent blade crystals of Barite with a white fringe and phantoms inside. Sharp and lustrous from a small but remarkable French find 3 years ago. A choice example, very delicate and in eye-perfect condition. With 10 x magnification the main crystals are pristine. At 20 X a tiny chip is found on a tiny side crystal near the base. A choice example. A sharp and curious old English specimen of Daisy bed or Daisy Wheel habit gypsum crystals on matrix. 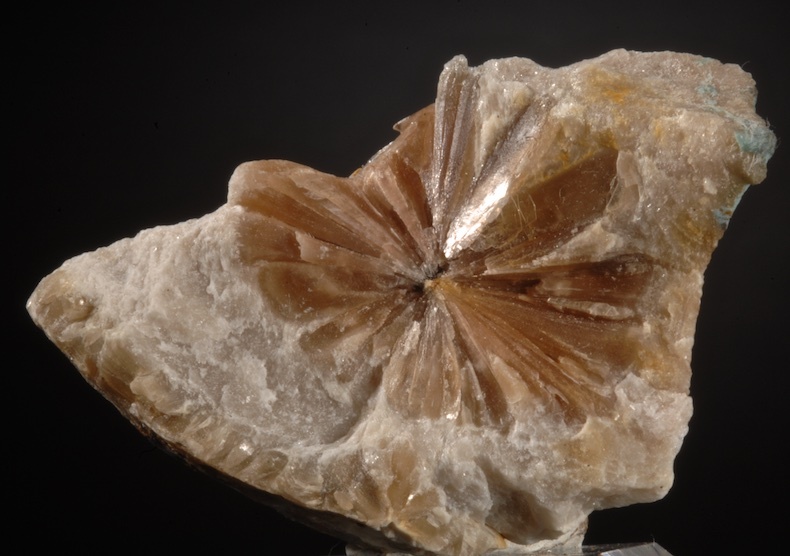 Some of the flowers have the rare but desirable Rhombohedral crystal preserved at the center or core of the flowers. The matrix has these flowers displayed on two sides. 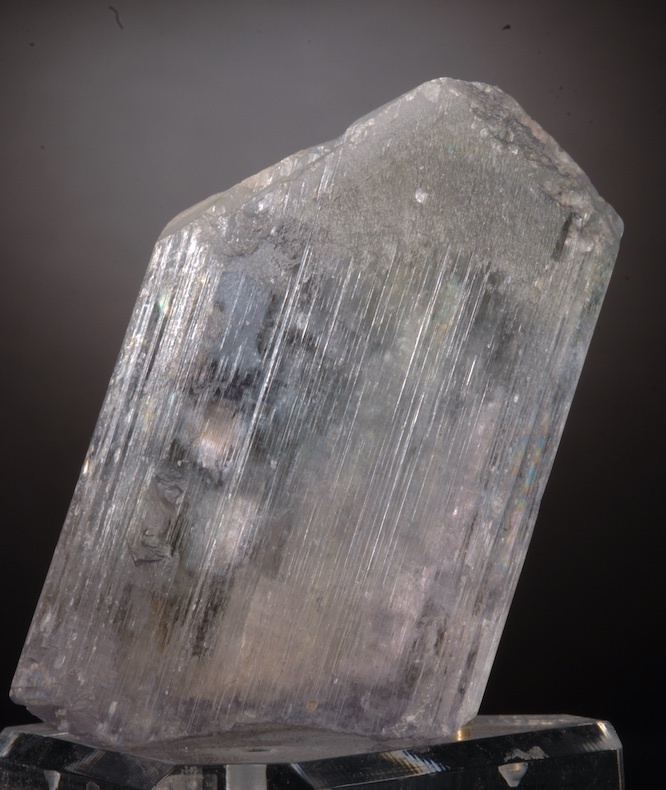 A big, well terminated, pale but very clear gem crystal of Spodumene. The crystal is strongly dichroic and if rotated in front of a computer monitor the color changes from violet to a mint green. This was collected more than 15 years ago, this is not like the more recent finds. Very good condition, the color is a bit deeper than seen in the photos. 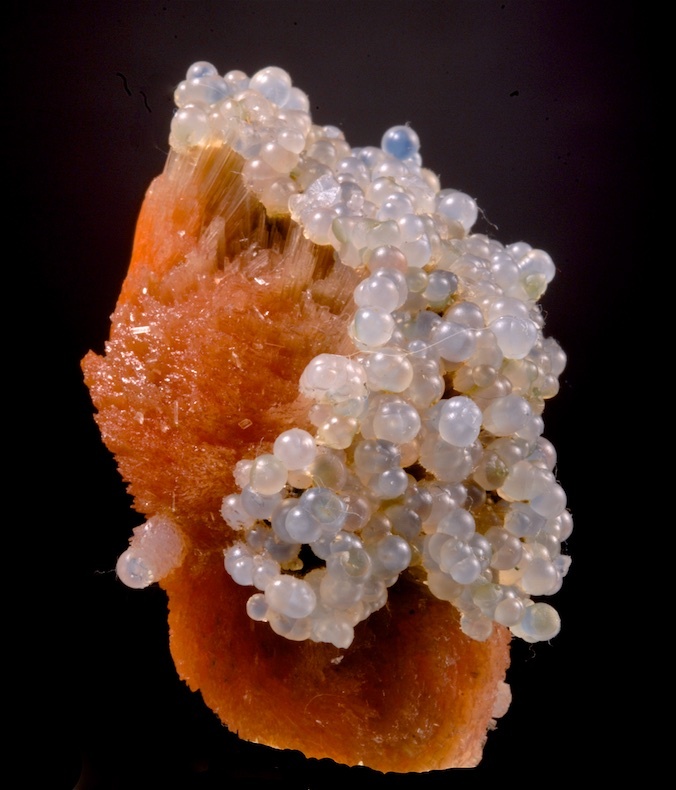 A crazy but extraordinary piece, of a superb quality that is rarely available on the web, Complex, with colorless transparent Fluorites perched on very sharp Lollingite crystals. A few of the Fluorites have inclusions of Helvite crystals and there are fine rosettes of Helvite crystals on the Lollingite as well. In outstanding condition, this can displays in many orientations with strong impact. From the first significant discovery at Huanggang, the form of the Fluorite is textbook perfect. Superb in person, a very choice top Chinese specimen. 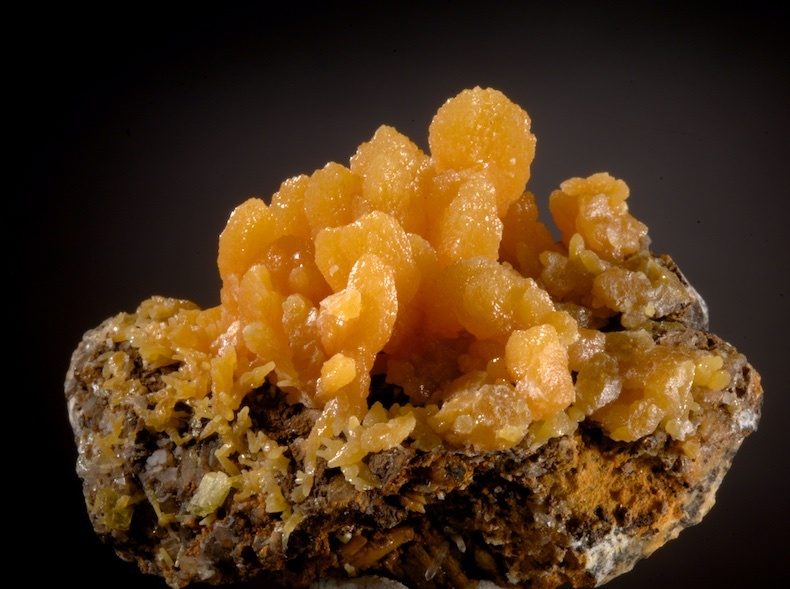 A perfect, undamaged small Pyromorphite with a pleasing form from the classic Bad Ems area. A thin plate of matrix crystalized all around with mustard green pyros some of which have a yellow tip. This region is world renowned for the many fine Pyromorphites that it once produced, especially the large brown hoppered crystals. This old piece is of a less common style and color. Remarkable to be 360 degree displayable and completely damage free. One face of the specimen has less green and more typical brown but even that side displays well too. The Rosenburg Mine closed in 1963, and it was most active in the late 19th and early 20th century. Specimens of this quality are usually quite old and have passed through many hands, making it rare to be so pristine.